Get your message out to more than 40,000 people! 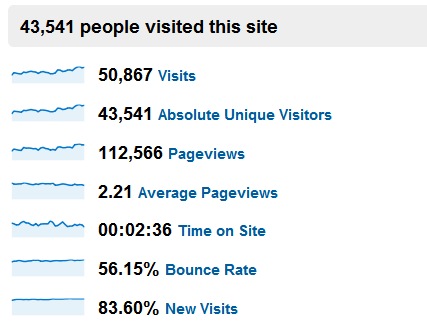 To the left you can see the traffic statistics for the month of July, 2010. 43,000+ people visited the site and each person spent an average of 2.5 minutes viewing videos. Below you will see the current advertising rates. To get started simply click on the “subscribe” link beside the appropriate ad which will set up a monthly recurring payment through PayPal. Your monthly ad subscription can be canceled at any time.